This update is only for DSC-W630 and DSC-W650 Cyber-shot cameras with firmware version 01. 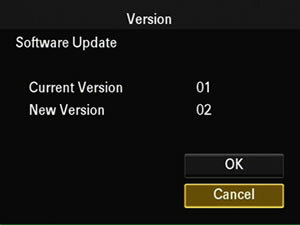 If your firmware version is not 01, your camera does not need this update. Simultaneously push the Zoom T button and the Playback button to power on the camera. On the Main Settings menu, go to the last page and verify that the version is 01. If the version number is not 01, your camera does not need this update. WARNING!! 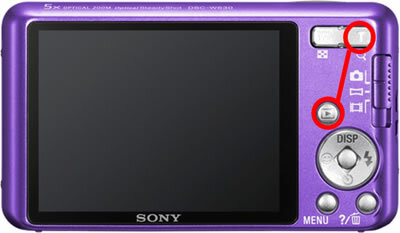 This firmware update is only for use with Sony® DSC-W630 and DSC-W650 Cyber-shot cameras. Do not install this update on any other models. This update requires a blank, formatted, compatible Memory Stick Duo™ or SD memory card. 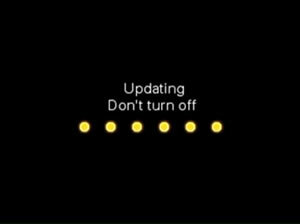 Before performing this update make sure that the camera battery is fully charged. Updating the firmware returns all settings to their factory defaults. You will need to redo your personal settings after performing the update. The steps to install the firmware update are the same whether you are using Memory Stick Duo media or an SD memory card. Download the DSCW650630V6_svc02.zip file to a temporary or download directory (please note this directory for reference). Note: The file to download is the same for both DSC-W630 and DSC-W650 cameras. Use the DSCW650630V6_svc02.zip file to update the firmware of either. The DSCW650630V6_svc02 folder will be created on your computer desktop. Double-click the DSCW650630V6_svc02.zip file. The DSCW650630V6_svc02 folder will be created on your computer desktop. The SONYDSCF_DSCW650630V6_svc02.ASH file is the same for both DSC-W630 and DSC-W650 cameras. Use the SONYDSCF_DSCW650630V6_svc02.ASH file to update the firmware of either camera. Prepare a formatted memory card. For details about how to format it, please see the Operating Instructions of your camera. Please use a memory card that has been formatted by your digital camera. We do not recommend formatting the memory card with a computer, as the camera may not recognize the memory card, depending on the file system for which it's formatted. WARNING!! Formatting the memory card will erase all pictures and other data on the card. IMPORTANT: The firmware update may fail if the memory card contains other files as well as the update file. You should always use a memory card that has just been formatted. Open the DSCW650630V6_svc02 folder on your computer desktop then drag and drop the update files and folders to the root folder of the memory card. Insert a formatted memory card in your camera. Note: See your camera's Operating Instructions for more details about how to connect your camera to a computer and how to copy to the memory card. Maker sure that the camera is powered off. Insert the memory card with the update files into the memory card slot on the camera. IMPORTANT: Make sure the camera battery is fully charged before performing the update. On the Main Settings menu, go to the last page and select Version. 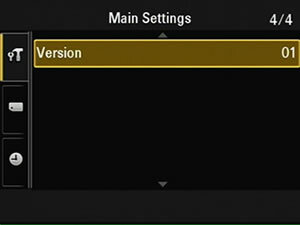 On the Version screen, make sure that the Current Version is 01 and the New Version is 02, and then select OK.
At the confirmation screen select OK and the update will start. WARNING!! 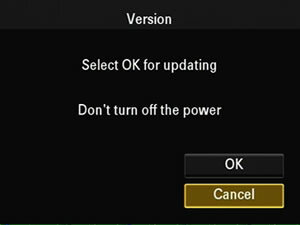 Do not power off the camera while the update is in progress. The update takes about two minutes to complete. 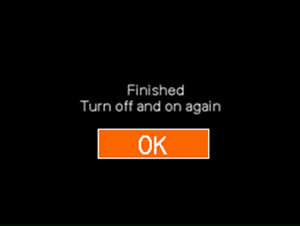 When the Finished screen is displayed, select OK. 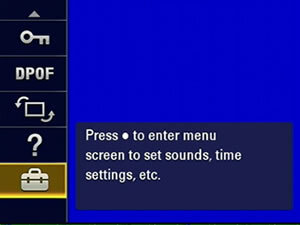 Note: The camera will automatically restart and the initial set up screen (starting with date and time) will be displayed. On the Main Settings menu, go to the last page and verify that the version is 02. If the version number is not 02, please re-download the file and perform the update process again.